Improving content quality and relevance to website users. Find errors and faults in your website that need fixing. Identify opportunities and areas for improvement on your website. Spot market trends and identify what potential are typing into search engines. For each free tool, there is usually an equivalent paid version. However some of these are designed for professional use and too complicated for the busy business owner or non-specialist marketer to use efficiently. The free SEO tools provide valuable information with a shallow learning curve that helps you boost your website marketing and your business. Google Analytics is the go to product for analysing your website traffic and the newly designed interface gives useful snapshot performance information. It’s also free and very easy to install on your website. As well as useful headline figures, Google Analytics can provide a huge amount of data about your website visitors and website performance. Key performance indicators – such as Bounce rate, Sessions, Pages per session, Average session duration etc. Comparison to previous periods – as well as getting recent data such as 7 days, 30 days etc, you can compare performance over a particular period such as same period last year, previous period etc. Further analysis – there is a goldmine of further information that can be extracted by an skilled SEO specialist such as visitors by time of day, day of the week etc. See our earlier articles for advice on using Google Analytics. While Google Analytics tells you about your web traffic, Google Search Console (GSC) provides data about your website’s performance on search engines. It’s free and is an ideal complimentary partner for Google Analytics. Submit sitemaps, individual URLs and robots.txt file for crawling. 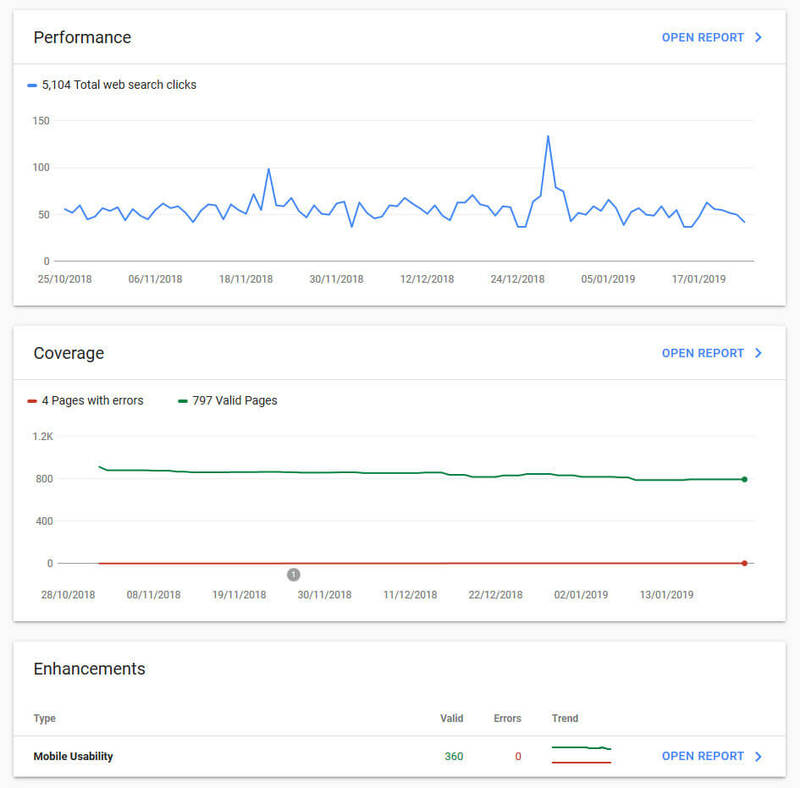 Shows your index coverage to make sure that Google has the freshest view of your site. Receive email alerts when Google identifies issues on your site. URL Inspection tool provides detailed crawl, index and serving information about your pages, directly from the Google index. While some of the features are design for use and interpretation by an SEO specialist there is useful data to be found here such as Backlinks, Queries and broken links. These are tools that tell you what people are typing into search engines and suggest alternatives based on your own list of keywords. If you run a business then you are an expert and will use buzzwords, acronyms and specialist terms that maybe potential customers won’t. You do need to explain your services and products accurately but you also need to include more common terms on your web pages. This enables Google to figure out what your website is about and also communicate effectively to new customers when they visit your web pages. Both tools are free, but you need a Google Ad Words account to use the Google Keyword Planner and Keyword Tool no longer shows volume information so isn’t as useful as it used to be. The other free keyword tool that often gets forgotten about is Google Autosuggest. If you start typing a keyword that relates to your business Google will display related searches using words that real people have actually typed into the search engine. Once you have your search results then you can scroll to the bottom and look at the searches related to section. 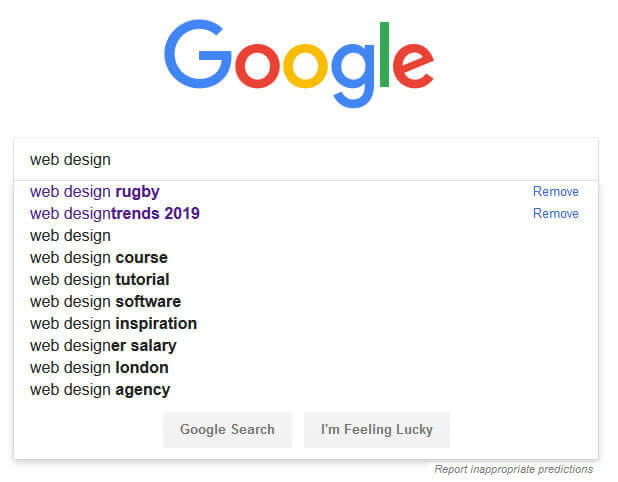 When you look at these keywords then you ned to decide if you are missing a trick in the way you describe things on your website. They need to go in the website pages, headings, alt tags for images and title tags. Your website content still needs to read properly and communicate effectively but you should try to accommodate relevant keywords in your content. Backlinks are a very important part of your web presence. If good quality, high authority websites publish links back to your website then this boosts your rankings on search results. There are a number of tools that enable you check the backlinks of your own website but also spy on your competitors. To check your own backlinks you can use Google Search Console. They obviously want you subscribe to their services so encourage sign-up or free trial while restricting the number of daily searches. However they do provide useful information about backlinks to your own website and competitors so you can seek better backlinks or disavow poor backlinks. Website speed and user experience are key ranking signals. 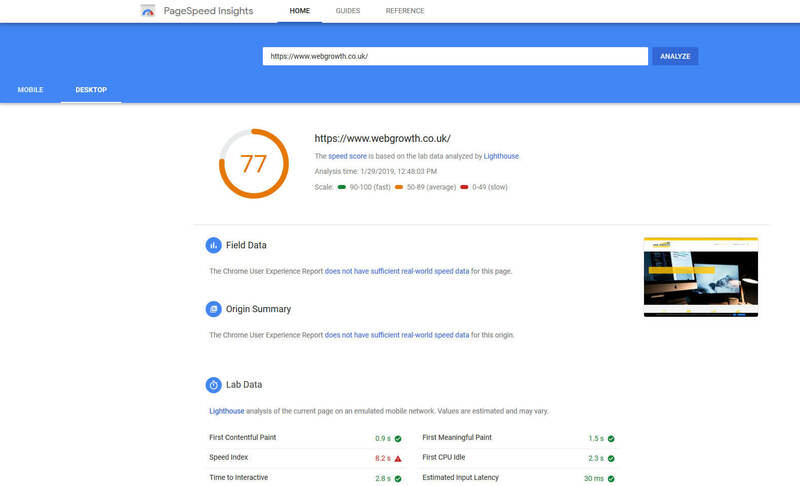 Google wants all websites to load quickly as possible and have provided a recently improved page speed check tool. You can get a speed rating and suggestions for areas to improve. It’s often a highly technical job to improve page speed, but it includes actions like optimising images, compressing code and caching of website pages if you use a content management system. Google has placed a lot of emphasis the quality of a website. This means that you need to regularly check for missing pages, broken links and other technical problems. While professional SEO tools have their own audit tools, there are free tools available that can help analyse your website for issues. Xenu broken link checker – don’t be put off by the basic web page, this is a very useful tool to download and install on your computer to check for broken links on your website. Screaming Frog is a small desktop program (PC or Mac) which crawls websites’ links, images, CSS, script and apps from an SEO perspective. It is free for up to 500 pages. If you have a very large website then it will be worth investing in a subscription or using an SEO professional.